-Men's & Women's NFL T-Shirts Starting At Only $4.99 - Free Shipping w/ 2 or More $4. 99 & Up! 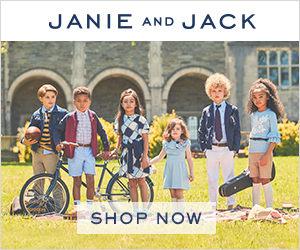 / Up To 65% Off! Target Coupon Match Up September 7th - 13th! Kindle eBook Deals - Chicken Soup, Romance Books & More! LEGO & Minecraft looks like it will be a pretty popular item this year! Hurry and grab this LEGO Minecraft The Nether for only $27.42 (Retail $34.99). Crazy 8 Back-To-School Clearance $2.99 & Up! The Crazy 8 Back to School Clearance is going on now with prices starting at $2.99! Plus, shipping is only $5. I am loving all the LEGO deals lately. Hurry over and grab this LEGO Super Heroes Spider-Cycle Chase for only $14.79 (Retail $19.99). Sunday Coupon Insert Preview September 7th! This week there are 2 RedPlum inserts and 2 SmartSource inserts! 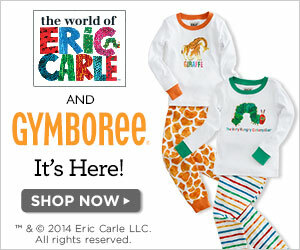 Gymboree - New Eric Carle Collection! My daughter loves Eric Carle. She especially loves The Very Hungry Caterpillar! I was so excited to see the Eric Carle Collection at Gymboree! Looks like I will be grabbing a few items for Christmas. They even have matching Pajamas for Adult and Child!!!!!! What's your favorite Eric Carle book? Feel free to share in the comments below! You can also head over to the Gymboree webpage and download free printable coloring sheets and activities inspired by The World of Eric Carle. Plus, you can enter a giveaway to win a $250.00 Gymboree gift card, as well as the Eric Carle book collection. Today at Joe's New Balance Outlet, you can get these Women's New Balance 550 Lifestyle & Retro Shoes for $34.99 (Retail $54.99)! Casual style meets classic comfort in the New Balance 550. Whether they go with a pair of jeans for a night out or running with friends, the 550 is perfect for the woman who's as versatile as the shoes she wears. Silicone Cupcake Cases 12 pack $3.68 (Retail $14.99) & Free Shipping! Right now you can get these Kitchen Craft Colourworks Silicone Cupcake Cases, Pack of 12 for only $3.68 (Retail $14.99) & Free Shipping. Click here to see some ideas on using these for lunches. Snacking Solutions - Gyro Bowl 3 pack $4.99 (Retail $24.99)! Today only, choose either the Gyro Bowl 3-Pack -Or- The Dr. Seuss Activity Bundle for only $4.99 (Retail $24.99). Flat-rate shipping is only $5. Making each bowl only $3.33 each. Have a LEGO fan? Hurry and grab this LEGO City Surfer Rescue Toy Building Set for only $4.59 (Retail $8.99). This is an Add-On item, which will ship with qualifying orders over $25. Check out the other great LEGO deals to add this on with.